Our hunters have thanked us immensely for going the extra mile by helping them simplify and speed up their process of clearing their firearms at Canadian customs. 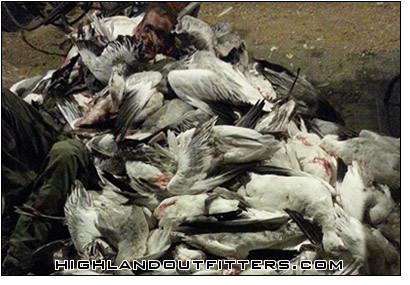 No surprises here at Highland Outfitters. We make your trip smooth by providing you with the following tips in advance to navigate Canadian customs easily. The Canadian Government’s firearm regulations require hunters from out of country to fill out a Non-Resident Firearm Declaration Form RCMP GRC 5589 which you can conveniently download from our website. This temporary license (valid for 60 days) costs $25.00 CDN. If flying from the US directly to the Saskatoon Airport, your license can be paid with your Visa, MasterCard, or American Express credit card via fax or over the phone to Canada Customs office, Saskatoon Airport location. When flying direct to Saskatoon, simply download the Non-Resident Firearm Form RCMP GRC 5589, fill it out, then fax it in to the Saskatoon airport Canadian Customs more than two weeks prior to your flight (fax # noted on form.) Now you can get yourself pre-approved resulting in a quicker process thru Canadian customs at the Saskatoon airport. If you are driving and crossing any Canadian border by vehicle, you pay for your license at the border by Canadian cash, or by any of the above mentioned credit cards. Before leaving home, download the Non-Resident Declaration Form RCMP GRC 5589 from our website, print it off, fill it out, pack it with you in your passport, and present the completed form at the Canadian border crossing guards for their approval –usually making driving across the border a smooth process as well.